SUITS By Curtis Eliot believes that every man deserves a suit that not only fits him, but shows off his personality as well. It’s why all of our suits are made-to-measure, allowing you to choose how you want each piece to look, fit and feel. “My only critique would be that their name doesn't properly reflect what their forte truly is. 'Adster Sales and Awareness - A modern-day sales department' might be the name & tagline that suits them best." SUITS By Curtis Eliot is a bespoke tailor, designing custom, made-to-measure suits and mens’ formal wear. 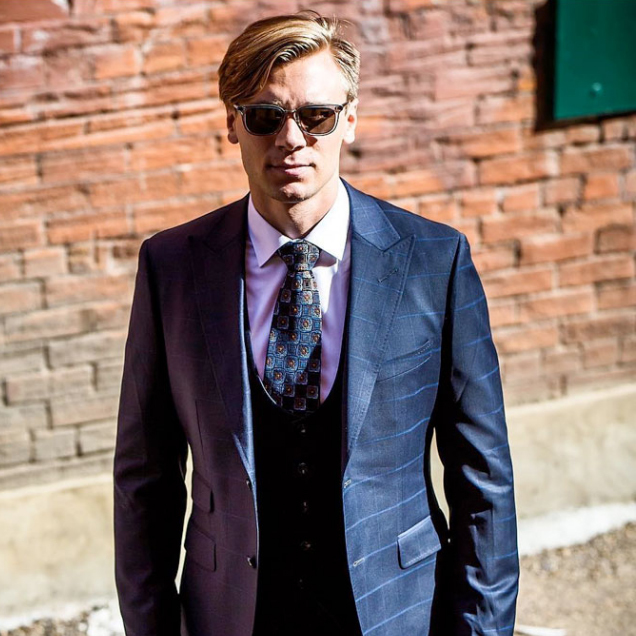 This Edmonton and Calgary-based small business has been making a name for itself on Hollywood’s red carpet, with a number of famous celebrities showing off their custom-made suits!